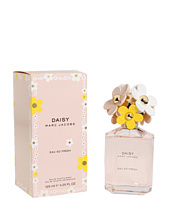 Zappos offers free shipping BOTH ways on Marc Jacobs, Fragrances, Women, from their vast selection of styles. Fast delivery, and 24/7/365 real-person service with a smile. They carry all top Marc Jacobs Perfumes - Daisy, Oh,Lola!, Lola Limited Edition, Lola Eau de Parfum, and more, as well as gift sets, body lotions, and body butter!